A home is “vacant,” as defined by the courts, if it does not contain enough furniture for a resident to reasonably live there. 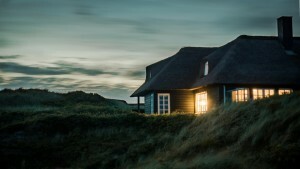 So, according to that definition, a home could be considered vacant unless it has kitchen appliances, table and chairs, at least one bed to sleep on, and somewhere to sit (i.e., a couple of living room chairs). If there were no bed or no appliances or no furniture, chances are the homeowners insurer could try to apply vacancy exclusions to the loss. At the very least, a client may have to spend thousands of dollars in attorney fees to contest the insurer’s decision. This is an insurance problem because, after 60 days of vacancy, the homeowners policy automatically takes away important coverages. If there is no reasonable way to avoid your home from being vacant, or if you simply would rather pay the insurance premium and not bother getting furniture in there, you generally have two types of insurance companies willing to insure your higher risk, unoccupied, vacant home. One type is specialty companies that cater to more difficult risks. The other type is surplus lines carriers. Contact an agent at PUI to discuss your options.